Scotland’s livestock organisations met with representatives of Scotland’s Milk producers, the Auctioneers (IAAS), the red meat processors (SAMW), and the SFMTA which represents butchers throughout Scotland, to discuss delivery of the proposed CAP reform and its likely impact. The meeting, on 27 January was prompted by a shared concern that the Scottish Governments blueprint for CAP reform is likely to trigger a further fall in production, the loss of critical mass threatens jobs, crucial infrastructure. It also cuts away at Scotland's ability to deliver on food and drink targets and its ability to compete with rival agricultural economies. The reform challenge in 2015 will create further pressure on a sector that has lost over a million ewes since 2001, has seen the specialist beef sectors calf crop dip by 7% in 2012 alone and the national dairy herd fall below one thousand herds for the first time. Both Pillar One and Pillar Two support budgets are at the bottom of the European league. Unless the Scottish Government prioritises production and targets money to active farm businesses, Scotland’s livestock sector will be pushed over the edge into significant decline. The future of Scottish farming is at a tipping point. The Scottish Government must be bold if it is to drive the sector forward. The stakeholder group recognises the value of focusing the immediately available 8% coupled budget through a new Scottish Beef Scheme. The Scottish Government’s commitment to new entrant support in year one also has total support. However the stakeholders believe the Scottish Government must be more aggressive in its commitment to active farming and utilise a more sophisticated level of targeting if it is to deliver positive outcomes from a small budget. 1. Focusing available support only to active farmers on actively farmed land. It is fundamental to the responsible use of public money and key to optimising area support levels in Scotland. The so-called Scottish clause, however, appears unable to deliver a barrier that can exclude inactive land through a requirement for minimum stocking. It is likely that a suite of measures may have to be employed, including a more aggressive negative list linked to an appeal system (including consideration of the primary land use), using economic tests to define active farmer status, limiting the allocation of area-based entitlements in 2015 to the area farmed in 2013 (or to the number entitlements claimed in 2013). Genuine developing and new businesses over the 2013 to 2015 period can be supported through the National Reserve. 2. It is essential to split up the rough grazing to focus support onto units where grazing levels are more intense. A uniform area payment approach to the rough grazing region is fundamentally flawed and risks production, communities and infrastructure. It is vital the government goes beyond the proposed blunt two-region approach to target limited funds more efficiently. A single payment rate is inevitably going to over compensate very low intensity areas. The Scottish Government must investigate all options for targeting support to reward more active farmers. More payment regions, targeted coupled support and stocking rates all need to be investigated as solutions to the problem. If the Scottish Government continues with the two region model highlighted in the ready reckoner then the more intensively stocked hills will be subject to heavy cuts in support which will trigger accelerated de-stocking. 3. Managing the transition of existing businesses from historic to area based payments should be regarded as a priority. Putting modelling of a ‘Scottish’ tunnel option into the public domain is urgent. Established businesses will continue to be the basis of Scottish production in 2015 and beyond. Their level of activity is key to the wider rural economy, jobs and food processing. The beef, sheep and dairy sectors are most at risk, yet it is these sectors that are the foundation of Scotland’s food and drink sector economy. Full internal convergence by 2019 is not the only choice available. The Scottish Government has the option to lengthen the transition process to protect production and jobs. A new tunnel trajectory could mirror many of the features of equal step transition, but leave the option open to maintain a level of historic support if production is demonstrated to be in sharp decline as a result of changes from historic to area-based support systems. A Scottish tunnel would create the option to renegotiate a better settlement in 2020 if area-based support is failing. 4. Refocussing limited rural development funds on measures that will achieve a great number of outcomes for Scotland. Turning away from innovation and carbon efficiency in Scottish agriculture will hamstring the industry’s competitiveness and damage rural communities. Targeted funding within the new SRDP could drive change in Scottish agriculture and can achieve climate change goals and environmental benefits on a global footing. The next 5 years are going to be crucial for Scotland’s competitiveness as a world player in the food and drink sector. 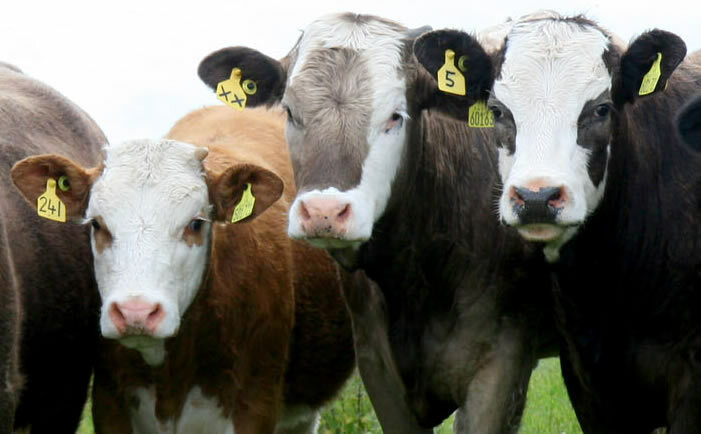 We can see our competitors, the Republic of Ireland, have launched a €52m package of measures designed to give them a world leading livestock sector. We share their ambition so need to design our own package for growth. The correct package means Scottish agriculture will effectively contribute to climate change targets, increase biodiversity, extreme weather resilience, and build the rural economy through more imaginative Pillar 2 measures. Funding a package like this could come from match funding pillar 2 or using unspent budget from other areas such as forestry. 5. The Scottish Government must address the needs of ‘landless’ livestock keepers and their access to support. New and growing businesses must be supported by ensuring that they receive support for the entire area they actively farm. The Scottish Government must back the principle that whoever is actively farming the land and taking financial risk will gain the support available. Where there is someone renting ground, and actively farming it whilst keeping it in a good agricultural and environmental condition, then they should be recognised and supported for their efforts. Perhaps a slot in your diary is available at the NFUS AGM or any other time that suits in the coming days.